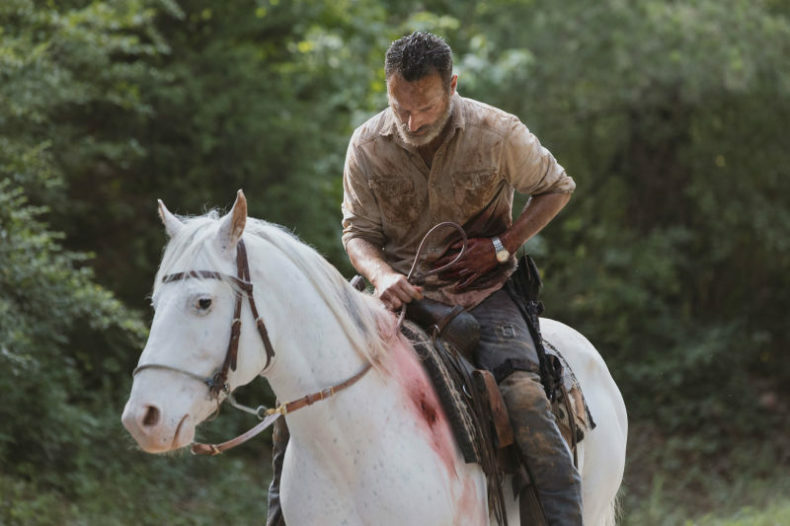 This is it….only one hour to go….how will Rick Grimes, the (arguable) center of TWD for over eight seasons, meet his end? The ending of the previous episode made it rather obvious…he falls off a horse and gets skewered by a rebar, and the resulting injury makes him bleed out. 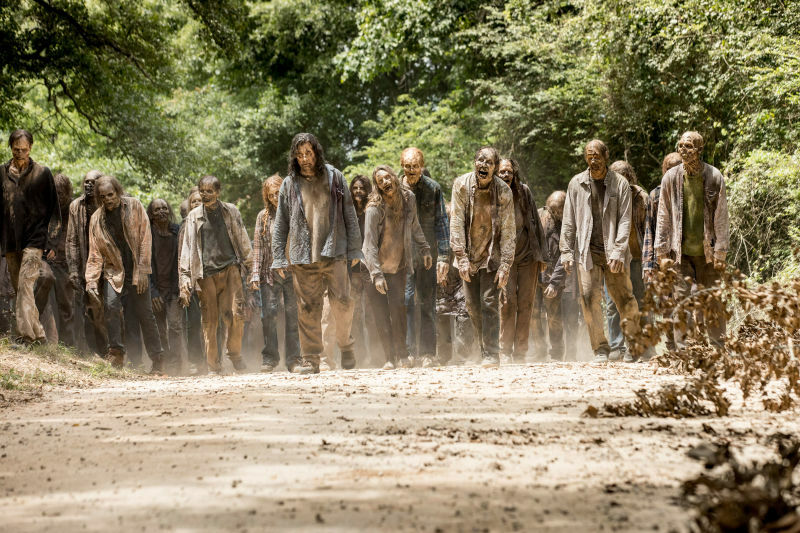 The final scenes were staged to give the impression that we actually saw Rick die there, and to sell it, they pulled an overhead shot to reveal two crowds of Walkers converging on the spot where his body is. ….Then in the next second, AMC spoiled that he gets away. We can’t imagine that he fully recovers, though. In a different story, there was a man named Joel in a similarly post-apocalyptic world who suffered the same injury, but he had a friend named Ellie to nurse him back to health. Half of Rick’s colleagues want him dead anyway and the other half? They ain’t no Ellie. 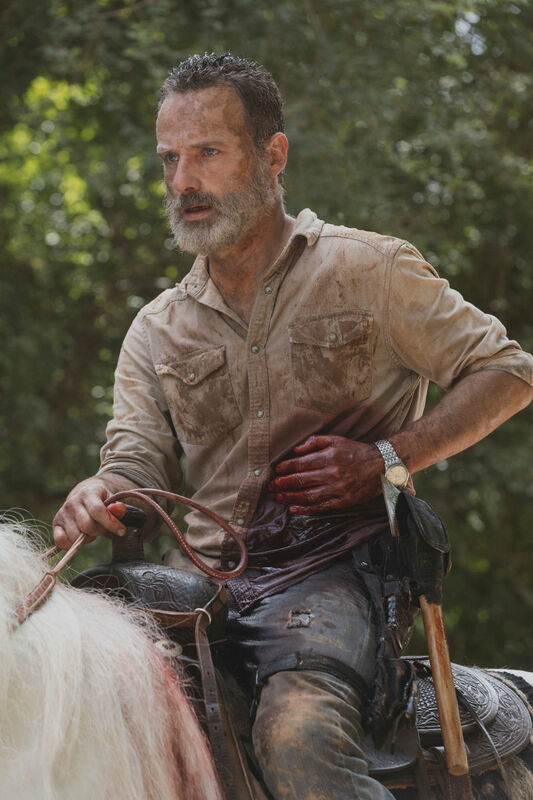 AMC has released multiple shots from next Sunday’s episode, the final to feature Andrew Lincoln as Rick (at least in a living role and not as a hallucination). 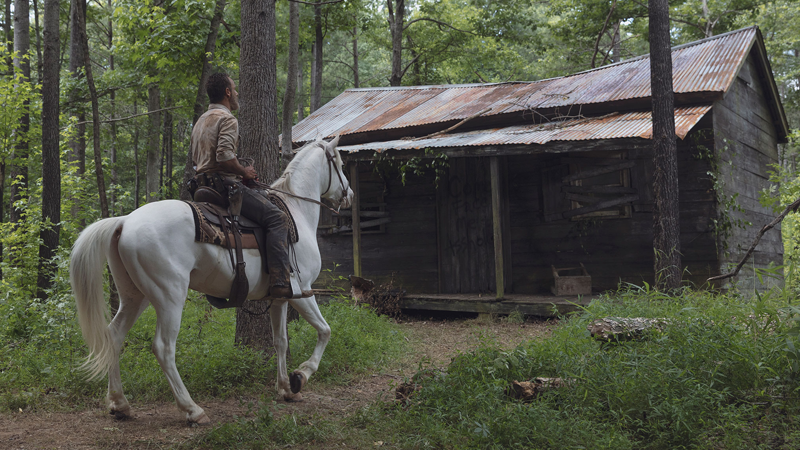 He does manage to get away, and then he finds…..
…a shack. Who is in this shack? Maybe a hallucination of his old frenemy Shane? It’s believed Jon Bernthal was summoned to appear in this episode. 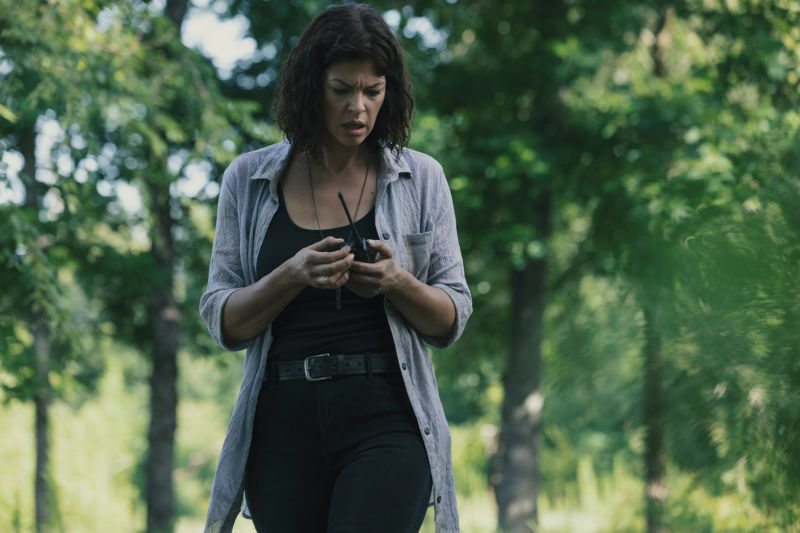 Anne / Jadis yakking into her walkie-talkie thing. Given how her subplot’s been playing out, there’s a good chance she won’t actually find out about Rick at all in this episode. 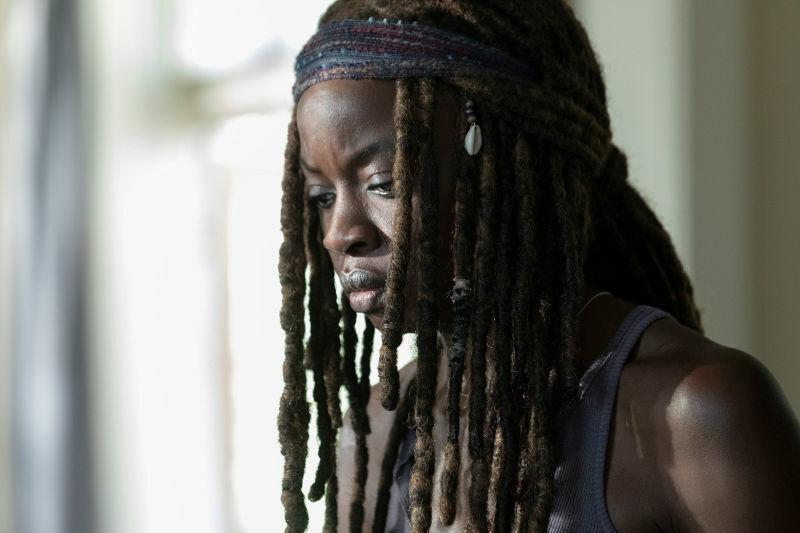 Michonne looks depressed, but is it about Rick? Does SHE find out? The best shot of the bunch because it raises more questions than answers. 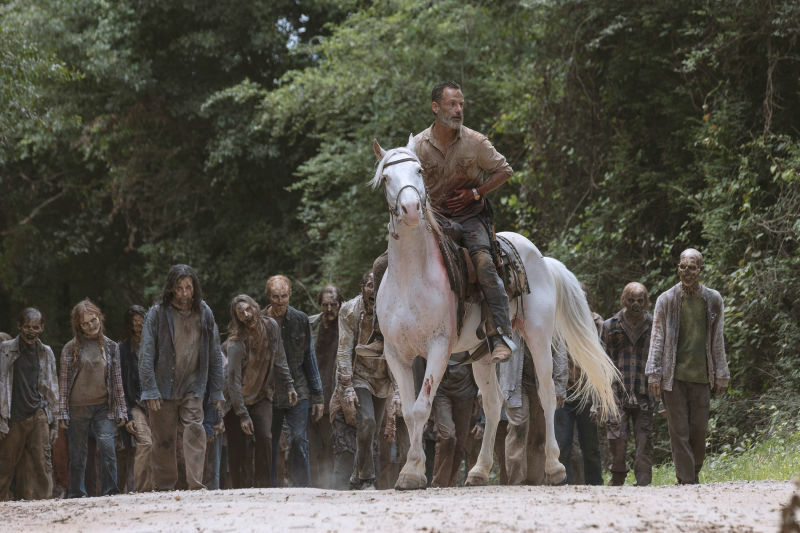 Will Rick find his friends before his injuries do him in? Or will he be forced to shoot himself in the head to prevent his own zombiefication? 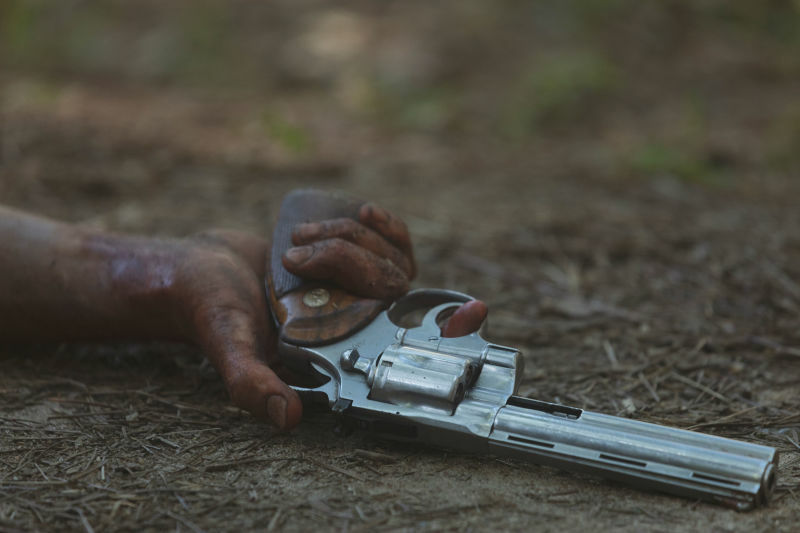 It would be poetic if Rick spent his entire final episode alone, just as he did in the pilot episode, with the exception of Morgan (who’s on another series now and can’t show up). Answers are just days away. The final Rick Grimes episode of The Walking Dead airs this Sunday on AMC.